What are the charges applicable on ULIP ? 1. Premium allocation charges : This is a percentage of the premium to be deducted upfront, before the units are allotted to the insured. This charge normally includes initial and renewal expenses apart from commission expenses. 2. Policy administration charges : These are the fees for administration of the plan and levied by cancellation of units. This could be flat throughout the policy term or vary at a pre-determined rate. 3. Mortality charges : It is the fee for the insurance cover. It depends on the age of the insured and the sum assured. 4. Fund management charges : It is charged maximum 1.35 % of total fund value on year on year basis and it is called expense ratio in mutual fund. 5. Surrender charges : If you are unable to pay the premium within the lock in period of 5 years, then surrender charges would apply for enchantment of the units. Read this interesting link on what most important questions you should ask a ULIP agent. 1. Equity mutual funds are very actively manage their portfolios and try to beat their benchmark. While ULIP funds are passively manage and there is less portfolio churn. 2. Diversified equity funds have more aggressive allocation to small and mid-cap companies compared to their ULIP counterparts. Therefore they are able to generate higher returns. 3. 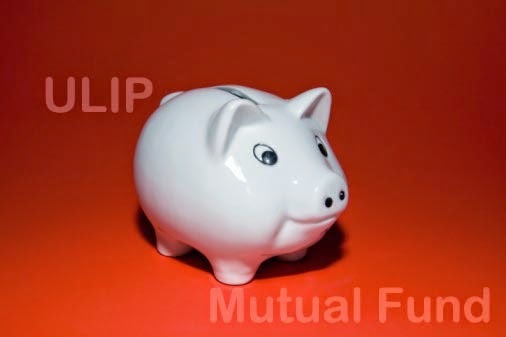 The debt mutual funds also managed more actively than debt ULIP funds. You must read this recent article about How top performing mutual funds outperformed ULIPs. Dear now on wards don't think mutual fund as ULIP funds, there is big different between this two products.